We encourage you to get involved in a Sunday Bible Study Class and or find a Small Group that fits your life stage or interests. Your involvement will build strong relationships with others and more importantly grow your faith in Jesus Christ. 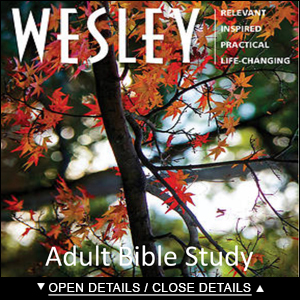 Monday Night Bible Study Starts back up in September Monday Nights 6:30-8:00 p.m.
Fellowship Sunday School Wesley Bible Curriculum An in-depth, quarterly adult Bible study specially designed for churches of the holiness tradition. Dive into God's Word as you seek to grow and mature in your faith. Lead by Harry Hollister Meets in the Library, 10:10am.